The New Year has arrived! That means you can finally start using your planner and the rest of your Everyday Life™ items you’ve been so excited about! Since these products are new to everyone, we thought we’d give you some tips on how to use them. It’s a beautiful week, thanks to the stickers that come with your planner pages! We designed them for organization optimization! First you have the round ones with helpful little icons to place next to tasks on your to-do list—don’t you just love that little gold present? These are great for helping you see at a glance what type of event you are looking at while simultaneously adding a splash of color! Then there are the rectangular stickers, which you can stamp with the Everyday Life Perfect Plan roller stamp to further color-code your pages. For instance, you’ll notice here that we stamped “PAY DAY!” on a green label so it coordinates with the green dollar sticker. Practice stamping on a scratch piece of paper beforehand so you get a feel for the roller stamp. Start with the stamp leaning slightly toward you. Roll slightly away from you to make sure the whole image gets stamped onto the sticker. It’s okay to go slowly, but be careful not to slide the stamp since that can smear your image. Use the metal guides on the edges of the roller stamp to help with placement of the stamp image. Click on the Instagram video below to see the techniques in action! Last but not least are the fun little flag stickers that complete the sticker set. We really love these because they can be used horizontally or vertically, as you can see on this calendar. That’s what’s great about the entire Everyday Life line—you can use the products in whichever way makes the most sense to you for your everyday life! 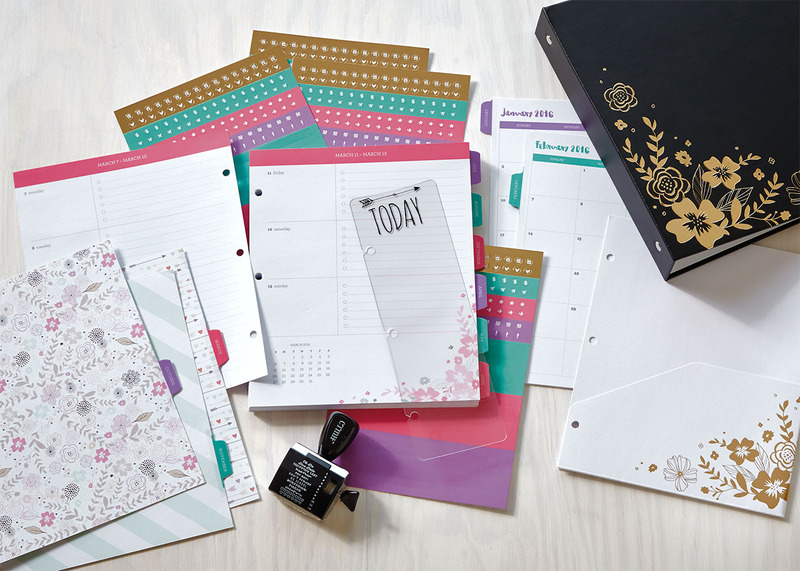 Ready to organize your year? Then enjoy getting to know the Everyday Life planner system, and let it work wonders for your life! If you haven’t jumped on the chance to get your own set of Everyday life 2016 planner pages yet, then we’ve got great news for you: Starting today, they are now available at 50% of the original price! 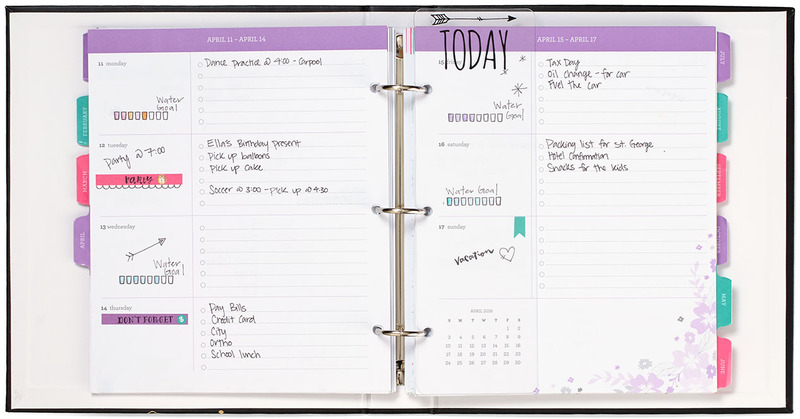 Next week we’ll be sharing a post about how you can pair the planner with Picture My Life™ for even more fun! The Everyday Life™ Line Has Arrived! The moment you’ve all been waiting for since our Australasia Convention announcement and the Plan Ahead blog post has come at last: You can now place your order for our planner system! Isn’t it beautiful? We love the vibrant colors of this planner, and all that space to write down those oh-so-important lists and reminders. And because we just can’t help ourselves, we’re also going to give you a deal on an exclusive planner bundle! From now until December 31, you can order a special planner bundle that gives you everything you need to create a planner at a 15% discount! You’ll get the Everyday Life™ black album with trendy gold foil designs, the Everyday Life™ 2016 planner pages, including stickers for color coordinating your planner, and the Everyday Life™ Perfect Plan roller stamp, which works hand-in-hand with the stickers. For anyone who hasn’t seen our Planners Gonna Plan video yet, we have an extra surprise: There are more items in the Everyday Life™ line, and they’re ALL available as of today! Let us show you the whole system! First up, we’ve created two new Memory Protectors™ that are sized especially for the Everyday Life™ album—one with four 4″ x 3″ side-loading pockets and one with two 4″ x 6″ side-loading pockets. 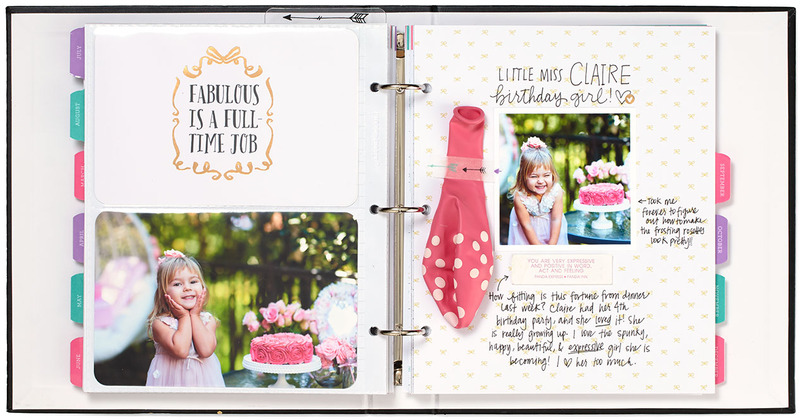 You can create a mini Picture My Life™ album, like you see here, or you can add some photos and Picture My Life™ cards to your planner. What better way to add a smile to your day than to turn to your to-do list and see pictures of those you love? Next, we’ve got something really exciting—our My Crush® Everyday Life pages. These loose, 3-ring hole punched pages come in a variety of playful patterns, and some have sayings that will lift your spirits and encourage you to seize the day! Did you notice the washi tape used to hold these precious photos and memorabilia in place? That’s our Everyday Life™ washi tape, which coordinates with the colors of the planner pages and the My Crush pages. 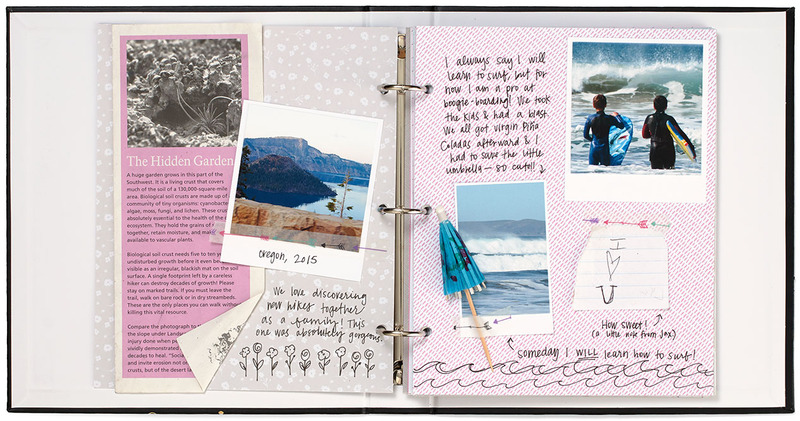 We’re all about preserving the little moments in life, and these My Crush® pages and washi tape make memory keeping on-the-go easy, cute, and fun! Ready to place your order? 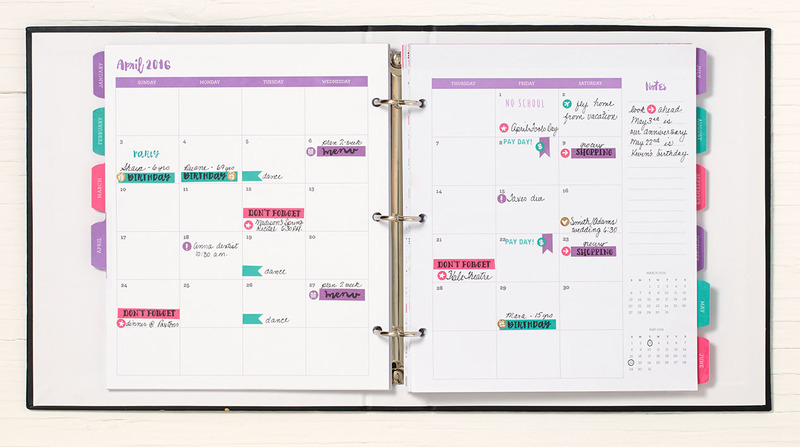 To purchase the Everyday Life planner bundle*, which includes the album, planner pages, and roller stamp, head on over to your Consultant’s OBA, and select “Special Promotions” on the left-hand side of the page. To order additional Everyday Life™ items, like the My Crush® pages, select “Everyday Life” on your Consultant’s OBA. *To receive the 15% discount, you must purchase the planner bundle found under “Special Promotions.” Adding the items separately will not trigger the discount. You must use the campaign item number provided for the bundle. Raise your hand if you have used planners for years and cannot imagine life without them. Now, let’s see a show of hands from those of you who may think you’re not “the planner type.” But are you actually the planner type? Answer these questions to find out! Are you a visual learner who loves to see your days laid out in front of you? Are you someone who can’t remember anything unless you physically write it down? Or are you a loyalist who prefers the purity of paper over electronics? If you answered “yes” to even one of these questions, then get excited. Why? Because, as we announced at Brisbane Convention, we have created our own planner that we’ll be making available for order later this month! Take a look! 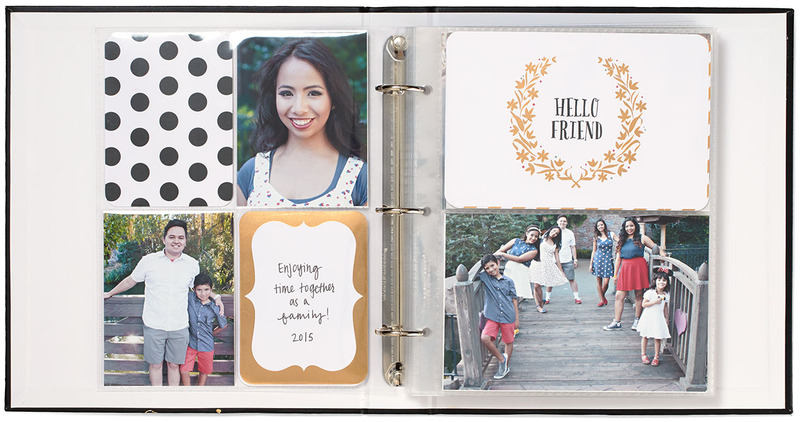 First, get your hands on our adorable three-ringed Everyday Life™ album. Its black cover with a gold foil floral design is sure to be the envy of all your friends. Then grab the Everyday Life™ 2016 planner pages, which include weekly and monthly spreads to help you focus in on the daily details but also remember your plans for the entire month. 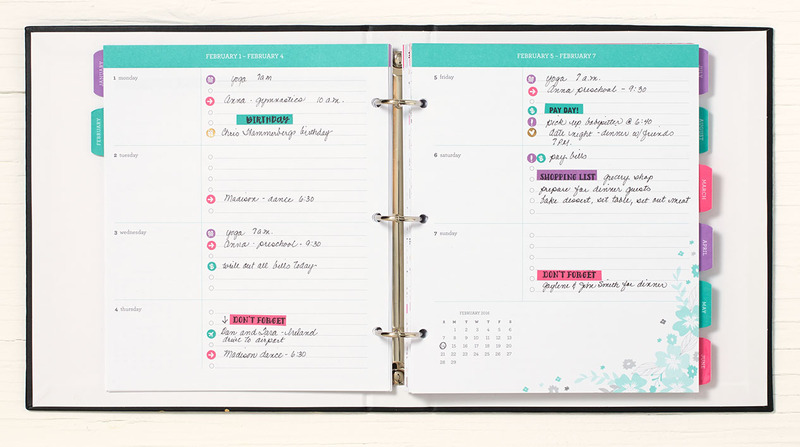 The planner pages also include four sheets of colorful label stickers, 12 trendy monthly dividers with tabs, and a bookmark-style page finder to help you turn quickly to the current day. To help you store receipts, fliers, and more, there’s also a pocket folder page. Is that organized or what? Personalize your pages even more with the Everyday Life™ Perfect Plan roller stamp, which has phrases like “shopping list,” “no school,” and “don’t forget.” We’ve designed this roller stamp to coordinate with the label stickers; simply place the label sticker in your planner, and then stamp the phrase of your choice onto it. With several colors to choose from, you can color coordinate your reminders for organization perfection! So pull out your current planner, family calendar, or even a Post-It note, and write this down: order the Close To My Heart planner as soon as it is available, later in November. We know this is a reminder you’ll appreciate all year long!